A daily brushing of the face does wonders for your skin. I like to think that I have nice looking skin. I no longer am troubled by monthly outbreaks of pimples. I guess that is one good thing about getting older as those darn hormones are leaving my skin alone. Getting older just means new skin problems. There is the fine lines, dull skin, uneven skin tone. Also the increased use of anti-aging products. Getting older does not mean I can take a break from a facial routine either. I still have to wash my face every day if I want it to look nice. I discovered a fun new way to wash my face and it also helps my skin look more radiant. My new face washing toy is this cool Facial Brush Skin Cleansing System. It feels so wonderful on my skin and makes washing so much easier. Most times I use this brush in the shower but some nights I use it by the sink. I can even use this brush on my body and feet as it comes with other brushes and even a pumice one. I love the pumice brush as it takes off all that nasty dry skin on my feet. So why do I love this face cleaning brush? Well, it polishes away the dull skin on my face and provides my face with a mini facial as it exfoliates all the dirt and dead skin on my face. All this brushing, which does not hurt, gives me cleaner, softer skin that looks nice. My new face brush comes with four brushes. Two of them are for the face, soft and medium. Then there is a bigger on that I can use on my body as I want that skin to look nice too. My favorite brush is the pumice one. This one is like a mini sander for my feet and does wonders on my dry cracked heels. I got my brush in my favorite color, purple, but it comes in all these other colors. So now I don't have to visit the spa for a facial, not that I did but I wanted too. I can just use my fun face brush and get spa clean skin. Just look at all this face brush can do for your skin. 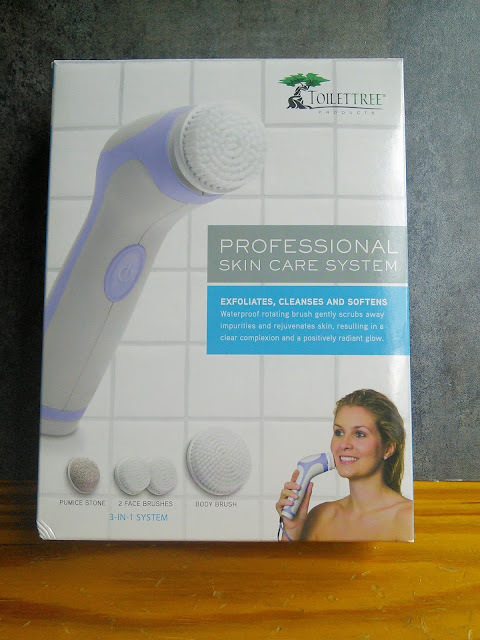 Improves overall skin clarity and appearance. 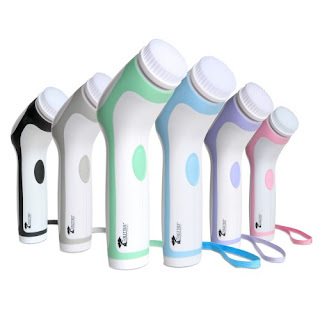 Removes dead skin cells to expose healthier-looking skin. Energizes skin and leaves it sooth, soft and radiant. Cleans deep to help remove stubborn makeup. Go here to discover more about my spa facial brush and find out how you can get one for your facial routine. ToiletTree makes other fun products too for your bathroom and traveling. "These opinions are my own and I received a Professional Care System to facilitate this post." While I do not have this particular brand, I too have a skin cleanser that I love. I use it regularly and my skin looks great b/c of it. I have been wanting to try one of these, they sound fantastic!! This kind of product has been on my list for a long time. It's just that they are fairly pricey and I want to be sure I'd use it. Looks like a good system. I have one of these and I love it. It makes my face feel so much cleaner when I use it. Toilet Tree has some nice products. This facial brush looks like it will get your face thoroughly clean. I've never tried a product like this before but I assume it's really good with cleaning your face. I would love to give a try! Pretty cool product, don't you get ticklish? I think I would haha. big fan of face cleansing. I hardly use anything on my skin like this but at time need to pamper myself. Awesome! I love face brushes because it's perfect for keeping your skin clean and it also gives at that deep cleaning so it's really nice especially if you're the type who wears make-up all the time. This is a very interesting product. Proper skin care is an ongoing challenge as we age. I have been exfoliating by hand with scrubs but I am really considering this option. What is the brush made from? 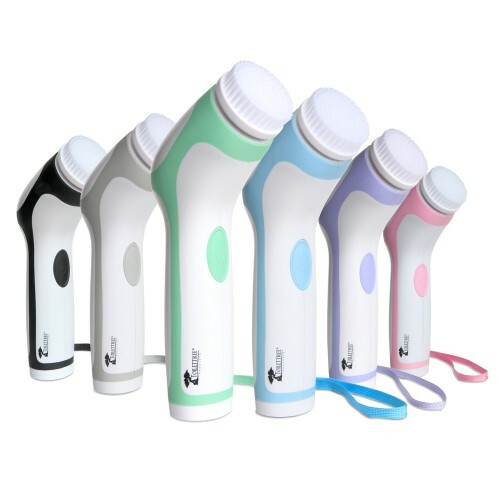 This is a really nice beauty gadget. Looks amazing indeed. Love it! My good friend just said she wants one of these. I like that they are a thorough way to cleanse and help renew your skin. I really appreciate this review, Tara. Been thinking of getting something more than my usual scrub. I'm going to start looking for one! I have never used one of these before. I would love to try one and see if it makes my skin glow. I haven't tried anything like this product. I want to see how this thing works, I may saved some money by buying this. What a great review. This sounds really great and I would love to try it. Taking care of our skin well is very important. This looks like a great facial brush. I will check this out. 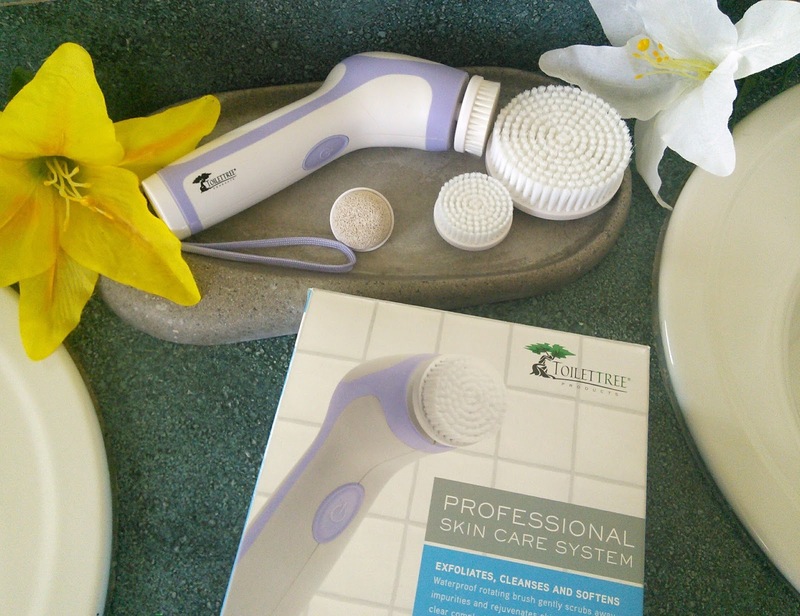 I used to have the same facial brush and it really works well on my face. It became one of my staples in the bathroom. Does it tickle? Looks like my daughter would love this! I actually have this product and I love it! It feels great on the skin. Even my girls love using it. I love this. I've always wanted one and this looks like a good one to purchase. I'm hoping it will rejuvenate my skin and even it out a bit. 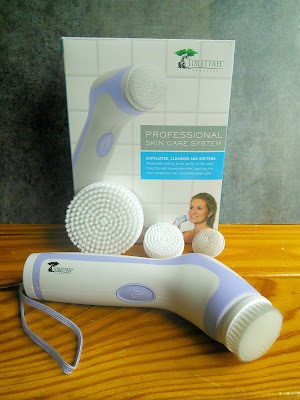 I've noticed my skin is noticeably better when I use a sonic facial brush! It's awesome! I have been thinking about getting one of these for years now. That's definitely one of the challenges I have with aging. Skin renewal doesn't happen as easily. My daughter has been singing the praises of this kind of exfoliation. I'm thinking I need to jump into the fray. The skin on my face is really sensitive so I'm not sure how it would be to use a face brush daily. Maybe 1-2 weekly. I have one of these but there is no way I could use it regularly. It works really well and sloughs off the dry skin and will even rub my skin raw if left on one spot too long. I use it weekly or bi-weekly at the most. Even my son loves it! I have something similar to this. It's with my Mom though coz she needs it more than I do. I remember i bought this kind of product years ago. I wasnt able to use it then and now I do not know where i have put it.